"In 1867 the "North's La Scala", The Tyne Theatre, opened its doors for the first time and has housed countless Stars and Starlets across the years, as well as triumphing in times of darkness and standing tall as the only original working Victorian Theatre in the country. 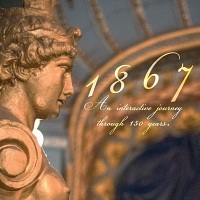 Aptly named, "1867" will be a multi-sensory experience for each limited audience, anchoring the sights, sounds and smells of the building, all whilst discovering new paths you never knew were there. Cheer for Tosca, escape the 1985 fire, search for lost treasures and mingle with theatre ghosts."